I had my wedding makeup done by Ms. Parul and canât really put in words for the amazing job done by her. Chosing your big dayâs makeup artist is always a task and a big risk so I decided to go to the expert and am glad that I chose her!! Spot on makeup while enhancing your features, she did a wonderful job. Was skeptical about my hair since I had never done any hairdo apart from letting them free, the hairstylist made sure my hairstyle was as per my face structure and went with my personality! You yourself feel beautiful once you leave from her studio! Cheers for the good work Maâam and thanks for bringing out the best in me on my big day!! Iâm so glad. I chose Parul to do my make up for my wedding and reception. I was looking the best I have ever thought of. Both the looks were very different from each other. It was subtle, flawless and natural. I got so many compliments all thanks to Parul and her team. I highly recommend her. She is best in the industry. Thank you so much parul for making me look like a queen on my special day. Keep it up. Lots of love. Parul Mam and her team were amazing.I felt so beautiful on my engagement function.They were able to perfectly create the look that I wanted.They are extremely talented.I couldn't have asked for anything more and was extremely happy with my makeup and hair. I wish you and your team all the best!! Hey Parul and team thank you for glamming me up on my biggest day of life, i almost wandered whole gurgaon and then i found Parul i did not took another day to finalise her and i made a best choice. She and her team do justice to their work.Once again Thank you. #1 source for reliable and well-researched about the makeup routine in delhi NCR is parulgarg. I find her on instagram and from that day and I can't wait to try myself for my D-Day. At the same my sister also done her party makeup with the senior artists and she overwhelmed with her look. I am very pleased with parul mam and her staff that so sweet and caring. Now my choice for the makeup is always her and girls don't give second thought just faith in her she will makeout perfect with in you. Parul maÃ¢ÂÂam did a wonderful job for me. These guys are truely professional. The team was superb with such an amazing environment at studio. It really felt that u are with ur known people. That make up was amazing. I am sure no body could have done a better job for me. Every one was impressed by their work. Thanks once again for every thing. My dream was to look beautiful and elegant on my engagement and wedding. I came across Parul Gargâs profile thru a friend of mine and found her makeovers very impressing. And finally my d day came and what a stunning makeover was done by her for my engagement. I was receiving hell no of praises for my look. Also my wedding was outstation and hence I booked SA from parul for the same. I was doubtful firstly but when she arrived timely and gave me the perfect makeover that I dreamt of. Thank you so much Parul.ðð I now have beautiful pictures forever. Hi I booked Parul Garg for my wedding weekend in Udaipur in February 2019. Parul herself doesnât travel out of station but she sent her make up artists and hair stylist named Ashu Khan and Supriya respectively. I had booked her as I had received raving reviews about her. However, I was utterly disappointed. The makeup by Ashu Khan was good but repetitive. He only has one style and I missed the change in looks I need for my three events. Supriya the hair stylist was abysmal. She took way to long to get the looks together and they were unprofessional and not amazing by any means. Finally, Ashu Khan charged 2000 Rs extra as a Shagun for attending the wedding which I found thoroughly unprofessional. I cannot comment on Parul Garg herself but her team disappointed me. NOT WORTH IT! She doesn’t sugar coat her words, she doesn’t share her family stories with you, she doesn’t chit chat about her day but boy does she do makeup or what!! If you don’t believe in magic, just see her Instagram account and you will start believing in it. She transformed me into a celebrity on my engagement and wedding. My photographer said he had never seen such makeup. My family couldn’t believe i could look that amazing. My mom could hardly control her tears seeing me walk out from Parul Garg’s makeup room. What else could you want? Parul god bless you!! Makeup is not just about looking beautiful. Its about confidence that it gives you. Parul, I have never looked better and have never been more confident in my life than what you made me on my engagement and wedding. Girls, don’t think twice before booking her. If you love to look your glamorous best on your big day, Parul is the only choice IMHO. Parul did my makeup absolutely beautiful and flawless. I couldn’t have dreamed of anything better than what she did. She is absolutely wonderful and has an amazing talent for what she does. Thank you so much ! Parul Garg is a magician The Perfectionist is the word for her She easily understands what kind of look a client wants and twirls her magic wand to create that..! A have seen brides transforming into divas there! Would definitely recommend all my family and friends! Parul Garg! !Where should I start from? There are no word to describe how thankful I am to you for making me look ravishing and beautiful on my engagement and wedding day. My makeup was everything I could have hoped for and I felt so beautiful. Everyone was complimenting me on my D Day and all the credit goes to you and special thanks to Mona did for all the lovely hair style. It was great meeting you and your lovely team and thank you again for making my d day even more special. You are a Gem! You and team truly deserve all the appreciation!! Lots & Lots of love. Thank you so much Parul di and Nisha for beautiful the makeover. Everyone loved my makeup and hair do..u made my day ..thank you so much.m eagerly waiting for my Sagan and wedding pics..Parul Mam and your hairstylist Nisha hats off both of you godlessness both of you. I would like to thank Parul maam for the wonderful makeup she gave me on my wedding day. She just made me look like a queen. Thanks you so much for making my day so memorable. Thanks a lot Parul mam for making me look so beautiful on my big day...I could not have looked any better..I must admit u are the best make up artist i met till date. I am happy that I made a very good decision to have you as my bridal make up artist. Thank you sweetie for trusting me on your big and also writing this review so quickly ???????????????? The only make up artist who can play around with any skin type . From minimal make up to heavy bridal make up with subtle touch . Her make up skills are truly amazing and a total pro at what she does . And most important , a wonderful person to work with . You can totally rely on her . My make up artist for life. Chhaya my sweetheart !! Thank you so much ☺️ Love love love you ???? I really want to thank Parul mam,she did an amazing job on my wedding day. She's really creative, she knows what kind of a look will suit you, just leave everything to her and she won't disappoint you ????. Thanks for making me a doll bride ❤️. Thank you so much Kriti ! You are a gem and it was a pleasure dolling you up on your big day !! Expert at what she does no doubt, i felt she was a little rigid at times. i dint like a lot of layering on my face. wudabeen better if my face retained original color tone. it was a shade lighter. i dint wanna go with hair extensions. that definitely limited their options cz dey might be good with hairstyling with extensions. with my hair, my hairstyle came out to be just okay,not what i had in mind. they are professional and responsive otherwise. i also felt they spend too much time on clicking and filming the bride. 30 min ish. i requested them to let me off early (15-20 min) cz i was getting late. felt a strained vibe after i asked not to put my before pics on social media. I cannot say enough about Parul Garg and her very talented team! I had the pleasure of having them for my engagement on 26th June. Let me start off by saying that i had no idea about make up and by searching online i found her details and booked for my hair and makeup done and trust me her team will NEVER disappoint you. Both the girls are nothing short of AMAZING!! They are extremely talented, friendly, funny, caring, and take pride in their work. Their main goal REALLY IS to make sure that YOU feel BEAUTIFUL and they always come through. I had booked their Air brush bridal package and it was worth EVERY penny. Before the function started They touched up my makeup and redid my hair style and changed my hair piece as requested. Everything they did was FLAWLESS. They worked quickly but efficiently. I cannot be happier with how everything turned out. I will always recommend them for ANY event and will absolutely continue booking them for my own. ❤️???????????????????????????? Wow ! Thank you so so much for your amazing feedback and review ! It was super fun doing your makeup and you looked absolutely fantastic !! Thank you for choosing us for your big day and wish you all the very best ???????????? I agree to everyone else here.. Parul a complete package..Too. Good at her work with a lovely heart... loved the way she works.. Absolute perfect make up ..not only Parul her team is also like her very cooperative n perfect .. n yes truly said sky is her limit .love u Girl n thanks for making me look perfect on my wedding day. Parul did an absolutely stunning job on my wedding makeup. My makeup looked very natural and held up flawlessly throughout the night, even with all the tears of happiness. She did a great job of listening to what I was looking for. She made me feel so comfortable. Undoubtedly she is one of the best makeup artists India have. Parul has done a wonderful make up and hair for me on my wedding day. She made me look flawless and so natural. She is so far one of the best make up artist who understands very well her clients requirements. I got a lot of compliments and enquiries post my wedding about my make up and i was more than happy to share Parul’s details. I highly recommend her. Parul and make up are synonyms. She makes it a point to use the best makeup brands. Her style is extremely chic, classy and natural. As makeup is her passion and is something which comes very naturally to her - she puts in all her heart in what she is doing and the result is what we can all see - THE BEST ! For everyone out there, don't doubt this woman's skills - she is someone you can't miss! Lastly, everyone that she's worked on would agree that she is the Best Makeup Artist out here ! She was absolutely amazing! She understood exactly what looks I wanted, gave me her suggestions& made me look gorgeous in all myfunctions:) She is professional & a delight to work with! Her hair stylist Sonu was also very good & gave me beautiful hair-dos for all my functions. What I liked most about her was her professional yet personalized approach. Despite knowing so much about makeup, she never imposed her opinions and in fact honored the look I had in my mind. We did meet once before my wedding to discuss the look and from that day onwards I knew we are on the same page. I would like to thank Parul for making my wedding so special and I wish her all the best for future. If I had to plan my wedding all over again, one thing I will never change is my Make up by Parul Garg. She made me look my best and my photographs came out extremely well. She knows her skill well and it reflects in the final results. Very few make up artists know where to 'Stop' while doing makeup and Parul’s USP is that she knows the right balance of everything in makeup. Thanks a ton Parul for making me look like the bride I had always dreamt off. You and your team were best I could have asked for my wedding functions. Both on the engagement and wedding, the make up you did on me as well my sister was superb and perfect for the function. Despite my breakout skin, you made me look flawless on both the functions and kept my identity and look to me. Everyone praised the look and moreover, my man was awestruck with my look on both the days. Really thankful to you for being so kind and patient with us. I think one of the most crucial decisions for any bride to be to choose right make up artist. Like other brides I did lot of research and I am so happy I choose Parul for my wedding and reception make up. She understood what i had in mind and made me look like the way i did. As I was very scared about the whole make up scene but she had removed that doubt. Got so many compliments for my wedding and reception look. I would recommend Parul to all the brides for their special day. Thank you Parul !! So I hadn’t had a great experience with my engagement makeup which was done by another artist and this is the first thing that I told Parul. I had been very stressed about the bridal makeup since I have a somewhat problematic face which needs expert makeup. Parul did my pre-wedding shoot, my mehendi and my bridal makeup and she has been just the best. She will listen to you and make sure that she addresses all the problem areas that you might have. Absolutely loved her and recommended her to so many more people. I think that I can only trust her for my makeup for any functions that I attend later on. I got my makeup done from Parul and she did an amazing job...she is really professional & good with her skills..I absolutely recommend her to everybody!! Parul is an awesome person, very extrovert, smart, n at d same teem very down to earth. She s too gud with her work. Her makeup’s r amazingly beautiful. She s truly a magician n knows d need of her clients. She makes all her brides happy to d core n satisfied about their look on their D-Day. Have had some great experiences with her.I totally recommend her to every bride. Parul s d need of all d ppl wanting to luck super fab on their D-day. Keep up the amazing work Parul. Parul is a very impressive majestic up artist. I had taken her services for an important shoot in school. She helped cover my blemishes so naturally without making me look painted. The makeup added to my confidence. I would not think twice before using her services again. I would like to talk about Parul as a make up artist and would take this opportunity to thank her via this medium,Parul did my make up for my engagement last year, I would like to mention that she made me look the prettiest to be bride, I feel i looked better than my wedding day on my engagement day. Best thing about her, she immediately knows what will suit you, the make up and the hair both. She likes to be prepared, that why she asked me couple of things before the D day, I had never met her in person, so she had not seen me, she asked me to send my pictures ( with my hair open) and the dress I would be wearing on the engagement. So you dont waste too much time in deciding what is to be done. Her make up is not chalky, you look your natural best. With this I would like to conclude that, i looked my best on my engagement day and all thanks to her. I know Parul from quite a while ...She is one fine makeup artist whom i can trust even with closed eyes. She is fabulous in whatever she does. Her skills are undoubtedly amazing. What I like the most about her is that she does makeup in a way that it comes out to be decent and not plastic. She is just perfect in the art of hairstyling as well. Its amazing to be dolled up by her. She is just wow. I wish her luck and success in life. keep doing good makeup. Parul is a very dedicated and professional make up artist. She has really good knowledge about make up unlike others.. She just do not cake up the face or hair.. She studies the face & do the apt make up for the right occasion. I really had great experience working with Parul, she dolled me up for my big day & i am still very happy & content that I chose her as my MUA. I would love to get dolled by her again in future. I wish all the best & keep doing great work. She is an amazing artist juzz love all her bridal makeups ...she is extremely talented and very calm..She really understands what customer wants.. Just fantabulous. Parul did a wonderful makeup for me and my daughter on her wedding. It was very natural and beautiful makeup. I would recommend her for all the brides. God bless uh Parul. If I have to describe her work in one word it would be 'Finesse'. Her make-up is natural & flawless. She tries to understand her client's style & give them the look they desire. I highly recommend her. Parul has the ability and class to make anybody look ravishing nd adorable. Her techniques and sense of style is unique. The makeup is never loud and accentuates the features beautifully. Parul is an amazing make up artist! I had my make up done by her for a family wedding. She made me look beautiful. She is very professional, skilled and creative artist, on top of that extremely polite, kind and accommodating person. I had a fabulous experience working with her and I highly recommend her to anyone who wants to look and feel amazing on their special day! Parul was my first and last choice for my wedding makeup.Shes just so brilliant at her work and is very honest. She’s not someone who would tell you all sorts of stories and not deliver at end. Instead, she told me all what was required and what would actually be good for me very clearly. We wanted to be sure about her before hiring and she was very sweet to invite us at her home and patiently listened to us and our needs. She definitely one who can be trusted and i would definitely recommend her for any bride. Parul is wonderful at her work I recently got a makeup done from her for my cousins weddings and got so many compliments from myfriends and family...I did recommend Parul to my friends too...Wish her good luck for future endeavors!! Parul is a wonderful and creative makeup artist. She's my go to person for every occasion. She makes sure that you are looking differently gorgeous with varied looks every time. The best thing about her work is that she uses the latest and best selling products as she keeps updating her kit. Parul is amazing with her work. Truly recommended if you wish to look your best for any occasion. Parul is a passionate make up artist and her love for make up and styling is exceptional. I've been knowing her from 5 years now and she's one and the only person whom I can trust when it comes to makeup. Parul is definitely one of the most talented makeup artists with an expertise that blends subtlety with class ! Got my makeup done from her for my brothers wedding and have never felt more beautiful! Got lots of compliments from everyone! Would definitely recommend her for anyone whose looking for the perfect makeup and hair services for theory big day!?? Parul is an extremely talented makeup artist. Her work is simply amazing and versatile in every form .Be it a north indianstyle punjabi wedding or a south Indian style wedding, she makes her bride look subtle yet stunning on her 'The Day’. I had a very good experience with Parul doing my make up for me on my wedding day. She arrived on time, and had me ready on time. The makeup itself was excellent. I wanted a slightly glamorous look, and that's exactly what she gave me. I had previously met with her and discussed colors and looks. She gave good advice outside of makeup and hair as well. She listened and took what I wanted into consideration. She used well known brands, and I had no problem whatsoever with the makeup. It even lasted the entire time, in spite of the mandap being outdoors, in the summer, at 5pm!! !All in all, I was very satisfied with the quality of her work! Parul is so amazing! She made me look and feel so gorgeous. I couldn’t have been happier with the results and I know everyone else was equally satisfied. She has a wonderful eye for color, respectfully listens to your requests and moves throughout the getting-ready period of the day with a calm, collected stress-free attitude. I would highly recommend her. She’s worth every penny! Parul is the prefect choice if you want to look the best without having to panic about anything. I will start with thanking her for my engagement make up. I am so glad i chose Parul to be the one for my first function. I loved my makeup, though i had major dry skin my makeup didn't crack and was put throughout the function; i got so many complements everyone loved my whole look ; all thanks to her. Nothing would have been possible without her. She's extremely talented and knows what exactly would look good with the dress just in a matter of seconds; its not only about the makeup but all the suggestions and recommendations that she gave me and i am sure gives to all her brides shows she's not only into business but cares about her brides; no wonder why her brides look so beautiful on their day. Thank youu once again. :)) P.S. Your studio is so amazing, it’s as elegant and pretty as you are. See you soon and best wishes. I got my bridal makeup done from Parul and she made me look fabulous....The issues that most brides have with their bridal makeup is its durability, but my makeup was flawless till the end of the ceremony..... She is very patient, sweet and is awesome at her job and really understands the needs of her clients.....Her work is both neat and elegant which is exactly what i was aiming for......I would definitely recommend her as i was very happy that I chose her to doll me up for my big day. Thank you Parul. Got my engagement makeup from Parul and she did a stellar job...got many compliments for my makeup. Parul completely understood the look that i wanted with my outfit and implemented it very nicely. Keep up the good work! Looking forward to my bridal makeover with you! Parul is a great make up artist and a great person too! For my engagement, I must have taken trials from at least 4 people. Aftermeeting Parul and seeing her work, I was pretty sure of getting my make up done from her.. completely loved the look without it being too loud.. which I think was my foremost requirement..
Parul is a professional. I couldn't believe my eyes when I saw myself ready as a bride. She made me look so extraordinarily beautiful. She understands your skin tone, what would suit you and what kind of lehenga and Jewellery u would be wearing. She is highly recommended if you want to look fab on your Big day. Thank you Parul!! She is an amazing artist jazz love all her bridal makeup’s ...she is extremely talented and very calm..She really understands what customer wants.. Just fantabulous. Parul has the ability and class to make anybody look ravishing and adorable. Her techniques and sense of style is unique. The makeup is never loud and accentuates the features beautifully. Parul is a passionate make up artist and her love for makeup and styling is exceptional. I've known her from 5 years now and she's one and the only person whom I can trust when it comes to makeup. Parul is wonderful at her work I recently got a makeup done from her for my cousin’s weddings and got so many compliments from my friends and family...I did recommend Parul to my friends too...Wish her good luck for future endeavors!! Parul is so amazing! She made me look and feel so gorgeous. I couldn’t have been happier with the results and I know everyone else was equally satisfied. She has a wonderful eye for color, respectfully listens to your requests and moves throughout the getting-ready period of the day with a calm, collected stress-free attitude.I would highly recommend her. She’s worth every penny! Parul is the prefect choice if you want to look the best without having to panic about anything. I will start with thanking her for my engagement make up. I am so glad i chose Parul to be the one for my first function. I loved my makeup, though i had major dry skin my makeup didn't crack and was put throughout the function; i got so many complements everyone loved my whole look ; all thanks to her. Nothing would have been possible without her. She's extremely talented and knows what exactly would look good with the dress just in a matter of seconds; its not only about the makeup but all the suggestions and recommendations that she gave me and i am sure gives to all her brides shows she's not only into business but cares about her brides; no wonder why her brides look so beautiful on their day. Thank you once again. :)) P.S. Your studio is so amazing, its as elegant and pretty as you are. See you soon and best wishes. She was absolutely amazing! She understood exactly what looks I wanted, gave me her suggestions& made me look gorgeous in all my functions:) She is professional & a delight to work with! Her hair stylist Sonu was also very good & gave me beautiful hair-dos for all my functions. The extremely talented Parul Garg took over the reins, styling my hair in a very sophisticated side bun to complement this beautiful homer we chose as my accessory. A few minutes under Parul’s skillful brush strokes and I was transformed into the pretty princess I felt like. Parul is an awesome person, very extrovert, smart, n at d same team very down to earth. She s too good with her work. Her makeup’s r amazingly beautiful. She s truly a magician n knows d need of her clients. She makes all her brides happy to d core n satisfied about their look on their D-Day. Have had some great experiences with her. I totally recommend her to every bride. Parul s d need of all d ppl wanting to luck super fab on their D-day. Keep up the amazing work Parul. My sincere thanks to Parul for giving me absolute gorgeous looks for my Engagement and Wedding Ceremony. Each one of my guests were in awe of my look. She is the most trusted and reliable partner you could ask for on such special occasions. She made me look flawless and natural. All I had to do was basically trust her judgement and results were breathtaking. I would highly recommend her to all would be brides. Additionally, my entire family is thankful for giving them such amazing looks on both days. Kudos to Parul Garg and her team. Way to go. If I had to plan my wedding all over again, one thing I will never change is my Make up by Parul Garg. She made me look my best and my photographs came out extremely well. She knows her skill well and it reflects in the final results. Very few makeup artists know where to 'Stop' while doing makeup and Parul’s USP is that she knows the right balance of everything in makeup. What I liked most about her was her professional yet personalized approach. Despite knowing so much about makeup, she never imposed her opinions and in fact honored the look I had in my mind. We did meet once before my wedding to discuss the look and from that day onwards I knew we are on the same page. I would like to thank Parul for making my wedding so special and I wish her all the best for future. I agree to everyone else here. Parul a complete package. Too good at her work with a lovely heart... loved the way she works. Absolute perfect make up ..not only Parul her team is also like her very cooperative n perfect .. n yes truly said sky is her limit .love u Girl n thanks for making me look perfect on my wedding day. Parul did an absolutely stunning job on my wedding makeup. My makeup looked very natural and held up flawlessly throughout the night, even with all the tears of happiness. She did a great job of listening to what I was looking for. She made me feel so comfortable.Undoubtedly she is one of the best makeup artists India have. Thank you so much for liking our work ! I would like to talk about Parul as a makeup artist and would take this opportunity to thank her via this medium, Parul did my make up for my engagement last year, I would like to mention that she made me look the prettiest to be bride; I feel i looked better than my wedding day on my engagement day.Best thing about her, she immediately knows what will suit you, the makeup and the hair both. She likes to be prepared, that why she asked me couple of things before the D day, I had never met her in person, so she had not seen me, she asked me to send my pictures ( with my hair open) and the dress I would be wearing on the engagement. So you don’t waste too much time in deciding what is to be done. Her makeup is not chalky; you look your natural best.With this I would like to conclude that, i looked my best on my engagement day and all thanks to her. Parul is an amazing makeup artist! I had my make up done by her for a family wedding. She made me look beautiful. She is very professional, skilled and creative artist, on top of that extremely polite, kind and accommodating person. I had a fabulous experience working with her and I highly recommend her to anyone who wants to look and feel amazing on their special day! 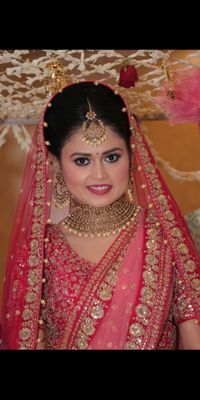 Parul was my first and last choice for my wedding makeup. She’s just so brilliant at her work and is very honest. She’s not someone who would tell you all sorts of stories and not deliver at end. Instead, she told me all what was required and what would actually be good for me very clearly. We wanted to be sure about her before hiring and she was very sweet to invite us at her home and patiently listened to us and our needs. She’s definitely one who can be trusted and i would definitely recommend her for any bride. Parul is definitely one of the most talented makeup artists with an expertise that blends subtlety with class ! Got my makeup done from her for my brother’s wedding and have never felt more beautiful! Got lots of compliments from everyone! Would definitely recommend her for anyone whose looking for the perfect makeup and hair services for their big day!?? Everyone just loved the work :) she made me feel pretty and happy even more :) I have been recommending Parul to almost everyone especially the brides to be! Way to go Parul! Kudos . Parul is a great makeup artist and a great person too! For my engagement, I must have taken trials from at least 4 people. After meeting Parul and seeing her work, I was pretty sure of getting my make up done from her.. Completely loved the look without it being too loud.. Which I think was my foremost requirement. Hey Parul Garg Makeover Thank yu so much for dolling up me on my engagement and Wedding functions. Your senior Artists are too good in their work. They gave me the look which I wanted, with an ease. Everyone complimented me on both the functions. Once again thank yu???????????? Thank you so much for your faith and trust in us. It was a pleasure indeed to doll you up! Walking into her studio hours before your big day is like a fairytale. They take such good care of each of their bride. Her work is flawless and incredibly natural, hard to find such work in the world full of makeup artists. She definitely use best of the products which has longer stay without any compromise on quality. Special mention - her hair dresser is so experienced and talented. I felt worth of every penny I spend on my makeup. Would love to visit her again for my party makeups ! Cheers! Thank you so much for your appreciation! It was indeed a pleasure ???? I just felt good after using it .... i loved it... it makes me more beautiful than ever ... i would recommend this product to all...and continue this service.. I love it so much and i am really proud to give a review for the job. such a fabulous service and good job, Good website for the professional photography. its really a fantastic job done by parul garg. hatts of to you parul garg, I suggest to all my friends and my relatives. thank you so much for ur fabulous job. I shall recommend her over and over again - hands down! i took a trial & i Cant wait for her to transform my look for the wedding!! !such a fabulous service. Professionalism really feels glad to give a review of Parul Garg. She is an Awesome Person and great job, I love her so much. I definitely recommend her to all the brides. Thanks for the great service. Loved it. Her professional way of doing makeup is simply awesome. I looked like a beautiful queen on my day. Great thanks for your work on my day. I would like to book you on my sister's wedding and to recommend in my friends circle. Parul is AMAZING artist!! She was absolutely wonderful. She is experienced, talented, punctual, specialized, responsive and easy-going. She confirms whether we are comfortable with the makeup and makes us better version of self both at the trial and the day of function. My makeup was completely perfect and I felt like the absolute best version of myself. Everyone appreciated the natural look and how well it stayed on throughout the function. Thank you, Parul for making me look and feel absolutely beautiful!! I would recommend her to anyone I know. Fabulous and wonderful work.I appriciate her.My looks on my wedding day I cannot forget it. I found Parul garg through one of my friends who has done her wedding makeover by her.Parul is professional and friendly.She was very responsive and our communication went smoothly.She gave me a look that was flawless and fabulous.My makeup looked natural and she made my wedding day something special.She was fantastic to work with and I definitely recommend her to all the brides.Parul will be the easiest decision I?ve made for my wedding. Amazing professionalism i really feel proud to give review of Parul Garg. she is wonderful person and amazing job, i like so much her makeup. Hats off to Parul such a wonderful service for my family event. Thank you very much to give this opportunity to share about Parul Garg. good website for styles photography in birthday,wedding and in any ceremony that you celebrate. Just give a ring they will be at your ceremony. Hats off to Parul such a wonderful service for my family event. She does a fabulous job and gave me exactly what I wanted. She has become my go-to person, I highly recommend her for any event. Thank you for taking the time out to give your feedback. Really appreciate your kind words. Good website and a professional style photography. Ample collection of wedding photos, each with great artistic technique. Would recommend it to all new couples for getting their best moments with best shots. I recently booked Parul for a family event. She does a fabulous job and gave me exactly what I wanted. She has become my go to person, I highly recommend her for any event. I believe that whoever wants to look beautiful should go to Parul. Thank you so much for making me look so beautiful for my function. I got compliment from my every single friend. 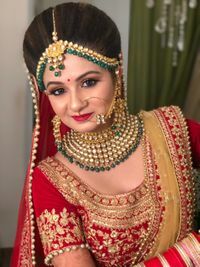 I would like to tell that every bride to be must visit the Studio and interact with THE PARUL GARG before finalizing the makeup artist for once in life time moments. I have never imagined that I can look so flawless in reality. I never looked and felt so good as I did on my wedding day and it's all because of Parul. She understands your face and personality and creates best suited look. Parul make-up for myself and my whole family. I'm not alone happy with the results, and I know everyone else was equally satisfied . She respectfully listens to our requests, and moves throughout the getting-ready period of the day with a calm, collected stress-free attitude. She was on time and ahead of schedule. I would highly recommend her ? she?s more worth for what we paying. Parul_Garg made me look really beautiful. There was no over layering & the make up looked the most natural in real & also in the picture s. It was an amazing experience having my wedding as well as the reception look get done from him. Excellent work! Parul does a great job and made me look beautiful ! Would love to visit again! Parul is a wonderful makeup artist, who is understanding, kind and professional. She worked with me to find the perfect look for my special day and was always ready to listen to my needs. The day of my trial I was late and Parul was so kind and understanding. Then the day of the wedding I felt at ease knowing I was in Parul?s hands. When she finished with me I felt so beautiful and everyone loved my makeup! It was natural but gorgeous. Parul has a real gift and she is a true artist! I greatly recommend her services! Parul you have done great job. Some Special Talent In Your hands. Best of Luck. Keep It up. Have a nice day. I hired Parul for my Wedding and Reception and I must say I am glad I did. I got Airbrush HD makeup done by Parul. Excellent work! Parul does a great job and made me look beautiful ! Would love to visit again! waoh!!! it's such a wonderful makeup,parul makeup itself has magic and what not my whole family go for it and that makes a complete makeup for us. Everything was going well while we were communicating on the phone trying to plan my look for my Roka. Since I live in Mumbai and Parul was in Delhi, I was quite apprehensive and had a lot of questions which Parul patiently answered. However, just a month before my function, she cancelled my booking without giving me any reason. It was only after I asked after a few days, was I given a reason about her studio being unavailable for my make up (this explanation was given to me via WhatsApp by somebody from her team). With just a couple of weeks left to go for my function, I was put in a position to look for another artist and rebuild the comfort and confidence levels in this new artist. I feel Parul did not handle the situation professionally as some sort of compensation should have been given considering that the Roka was just in a few days and I had absolutely no contacts in Delhi. She should've offered to come to my venue and do the make up for me or at least helped me with names of other artists instead of putting forward her own senior artists. 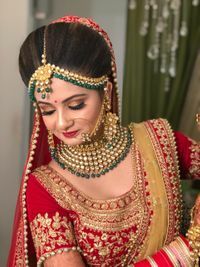 A bride trusts her make up artist blindly to make her look the best on her special day, however, I would find it close to impossible to trust Parul and her team ever again. Really a great work job done by Parul. After her makeover, i noticed lots of changes in me. Thanks a lot again to Parul. Parul does a great job and made me look beautiful ! Would love to visit again!After her makeover, everyone noticed me with a difference. I never knew that Parul has such magical hands.The makeup was absolutely awesome. Such a positive result. It's Really wonderful Parul Garg. Some Special Magic In Your hands. Best of Luck. Keep It up. Parul Garg is best for wedding occasions. She just makes good makeover to an excellent one in no time. I had great experience with her. After her makeover, everyone noticed me with a difference. She just rocks. Parul garg is just awesome, she have done excellent makeover suiting my personality and I looked absolutely gorgeous on my most important wedding day.I got compliments and I looked stunning on that day.It wasn't possible without you Parul.She is just outstanding and it was a fascinating experience using your service. Thank you for your wonderful and encouraging words. Parul Garg is simply amazing. She is friendly and talented that you can feel totally comfortable handing yourself to her on your most important occasions. I would like to thank Parul for the amazing makeover and would suggest every bride to come and get the makeup done by you. Very good work. I was amazed with the service. Parul Garg made my day. One of the best moments in my life time and would recommend for others too. I finalized Parul through WedmeGood and the service that was offered to me was very smooth. I used to live in Ahmedabad and my Reception was in Delhi, for which I needed a makeup artist. Parul and her team were super professional. Before the reception, I got immense support from her on whatsapp to discuss the look. On the day of the reception, she and her team arrived on time, and I was ready way before time. Unfortunately I had a massive pimple on the day of the reception but the airbrush that I opted for was executed flawlessly by Parul. She has a real talent and just the way she applied the base and foundation showed real technique and knowledge. I would definitely recommend her for any function that you may want to get ready for. Parul creates MAGIC!!!! She knows her skills to the perfection. I never looked and felt so good as I did on my wedding day and it's all because of Parul. She understands your face and personality and creates best suited look. The best part of her work is that it's not overly done, it's just perfect. I think nothing could have been better for me than her for my wedding makeup. I would suggest all brides to be to just trust Parul and enjoy the 'beautiful you'. Parul and her team are absolutely amazing. I got my wedding and engagement make up done by her and she did a fantastic job. She gave me the exact look i wanted. Also, her friendly and warm behavior will make you so comfortable for the entire make up session. Highly recommended. Parul was an absolute pleasure!! Her immense passion transcends in her work leading to beautiful results! She is extremely approachable, personable and has a wonderful eye for detail. I shall recommend her over and over again - hands down! Cant wait for her to transform my look for the wedding!!! Parul is excellent with her work. Extremely impressed by her work. Both my engagement and bridal makeup are done by parul and it was amazing experience. She completely changed my look. Thank you so much guys for making my day special. Parul is a rare combination of talent and hard work. It's rare to find people who are so passionate about their work. I am thankful to Parul for making my wedding memories special by giving me an amazing look. Parul is simply superb! I had a fabulous experience with her. Not only is her makeup amazing, but also her staff is very helping and cooperative. She readily takes into account your suggestions and ensures you are comfortable. Kudos parul! Everyone just loved your work! Parul is someone whom you can trust blindly when it comes to bridal make up. A person like me who has zero knowledge about make up and has this cliche perception that it makes you look unnatural and cakey, needs a MUA like her. She will transform you to an extent that you wont be able to take your eyes off your own self :). Let's be honest, when it's a family wedding the last thing on your mind is makeup and hair. I booked Parul's Senior Artist and everything was taken care of. Right from the right amount of contour to the highlights, I walked out knocking off a few years. Highly recommend this place to place your trust in. Best n buzzing senior makeup artists in the town to render services at doorstep or at any location. They are so skillful n have best known brands for application. I had an awsm experience with senior artists of Parul, they are so skillful and can do wonders to turn one into a true dream girl. On the top of it at very decent price. Family weddings always call for a glam look and that's exactly what the Senior Artists at Parul Garg's gave me. The finesse given and colours used was just how I like it: elegant yet trendy. My fianc got her engagement make-up by Parul. She looked absolutely amazing. Just wanted to thank Parul for such a great job. Needless to say we've booked her for our wedding as well. Looking forward to that! I recently got party make-up done from Parul and I was blown away by how nicely she covered my flaws without making the face look cakey. I normally don't experiment with eye make up but she was so good with it that the look complimented me and my attire beautifully. It was almost like a make-over. I will definitely visit again! Parul has a knack for using stunning colours to accentuate one's features, especially the eyes. She is extremely talented. She is also very warm and makes you feel very comfortable. Her studio is clean, professional, and she uses high quality products. I will certainly visit again ! Got Parul Garg on board for an event for which I needed party makeup. She gave me the perfect look along with incorporating my personal taste and suggestions. Her products were great quality and everything was extremely hygienic. She did it with precision and gave me a flawless looking face. Parul Garg did my make up for all my wedding functions. She did a fabulous job and managed to give me a different look each time! I got loads of compliments and felt great! She uses the best quality products and has a fabulous hand! For my wedding day, I got air-brush done..she did that beautifully..now I wish I had done air-brush for all my functions! Thanks Parul for the wonderful makeup! I went to Parul Garg for an Occasion make up. I had booked a makeup by the Senior Artist. I was extremely disappointed by their work. So were my mother and sister. The Senior Artist made me look bronzed and tanned and messed up my mother's hair. I had to get it corrected by Parul Garg herself, who turned out to be the saviour. I wasnt wow-ed by her work but she did a fairly decent job. 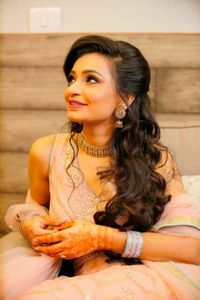 I booked Parul for my younger sister's wedding in November, and I can never thank her enough for doing such a wonderful job! She is amazing at her work, has eye for minutest details and is so easy to work with. We opted for air-brush make-up for my sister and she looked so naturally beautiful and the make up stayed for close to 12 hours! She did my make-up as well for the function and I must say that I looked far better on that day than I looked on my own wedding day! If I had more sisters, Parul would be the only MUA i would have opted everytime! Thank you Sheila. Its always a pleasure. Thank you Anubha. You are most welcome to my studio anytime!